and each day the room mom had a theme for the day. 3-4 different themes each day. 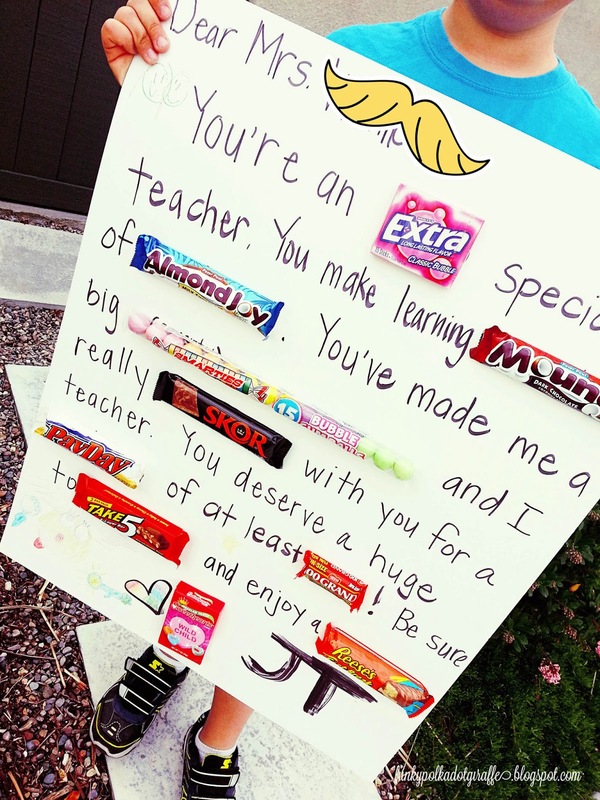 but then after thinking about it I thought - a teacher appreciation candy-gram would be awesome! 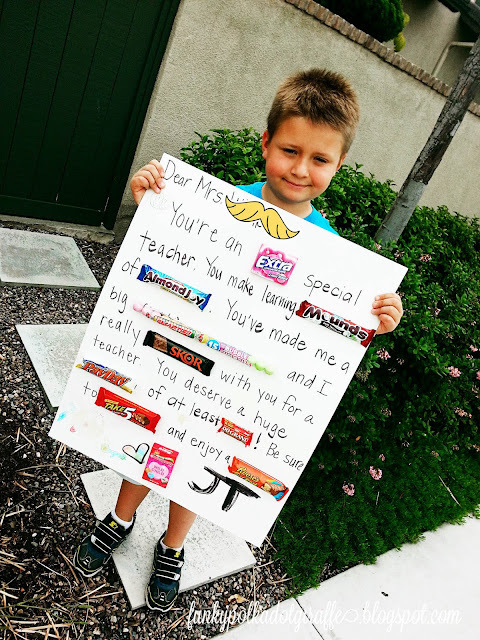 It was so much fun to make and put together and hunt down specific candies. Some of the candy bars I didn't find were a 5th Avenue bar, small serving Sprees and Whoppers. first to find all the candy first. I bought the poster board at Walmart and used a Sharpie to write the message. I hot glued the the candy to the poster and it worked really well. 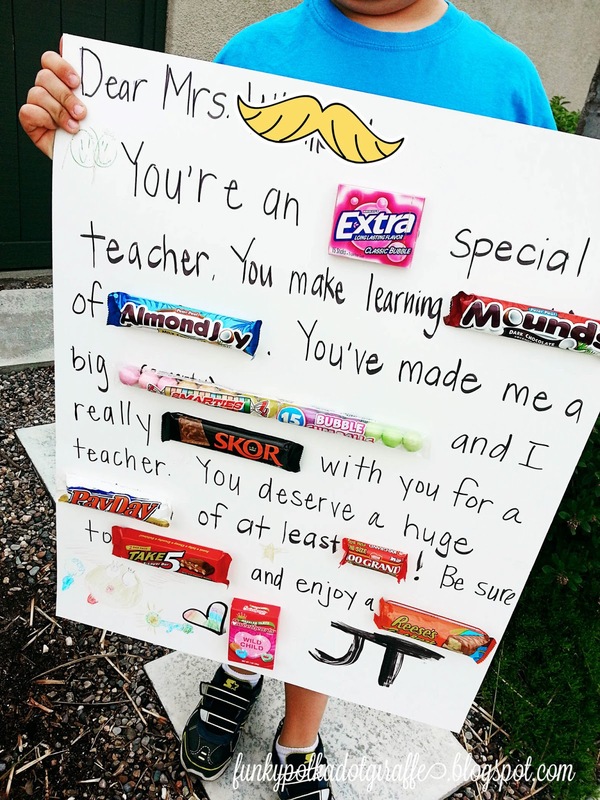 some more fun things to give your favorite teacher! Thank you for the idea. I am going to make this for my grandsons teacher.